Enjoy the best inspirational, motivational, positive, funny and famous quotes by Andrew Stone. Use words and picture quotations to push forward and inspire you keep going in life! 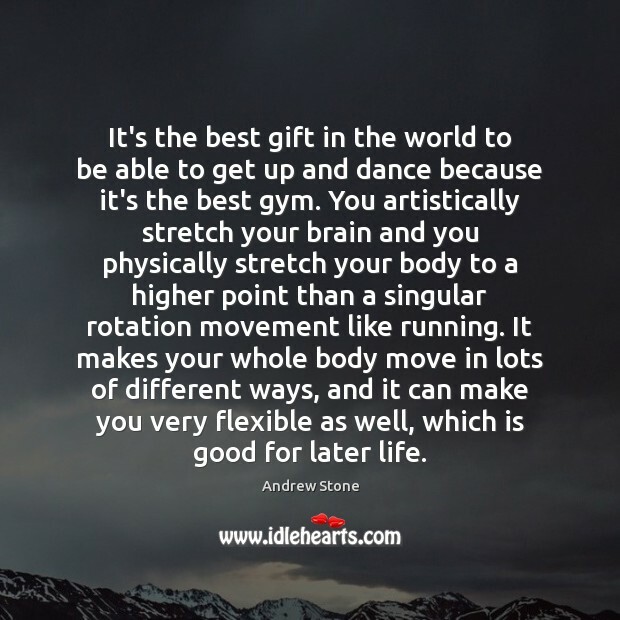 It's the best gift in the world to be able to get up and dance because it's the best gym. You artistically stretch your brain and you physically stretch your body to a higher point than a singular rotation movement like running. It makes your whole body move in lots of different ways, and it can make you very flexible as well, which is good for later life. 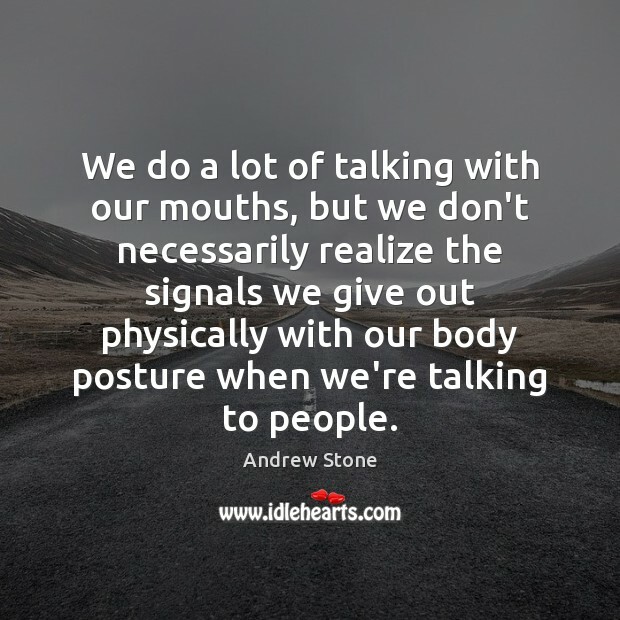 We do a lot of talking with our mouths, but we don't necessarily realize the signals we give out physically with our body posture when we're talking to people. 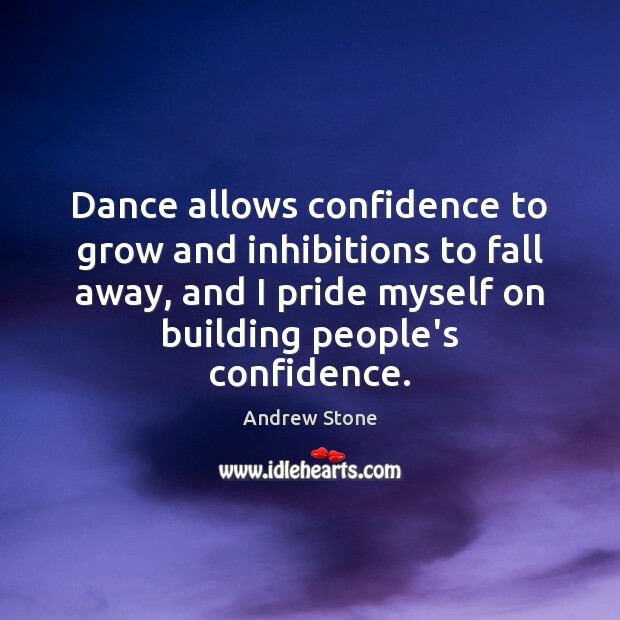 Dance allows confidence to grow and inhibitions to fall away, and I pride myself on building people's confidence. 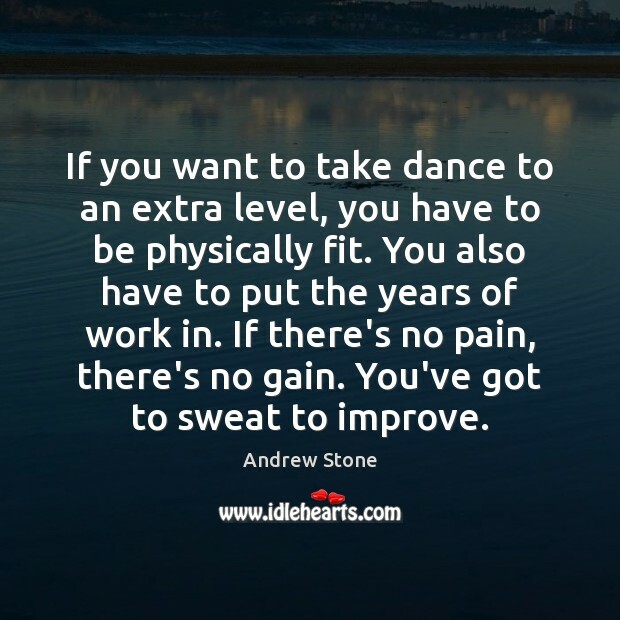 If you want to take dance to an extra level, you have to be physically fit. You also have to put the years of work in. If there's no pain, there's no gain. You've got to sweat to improve. 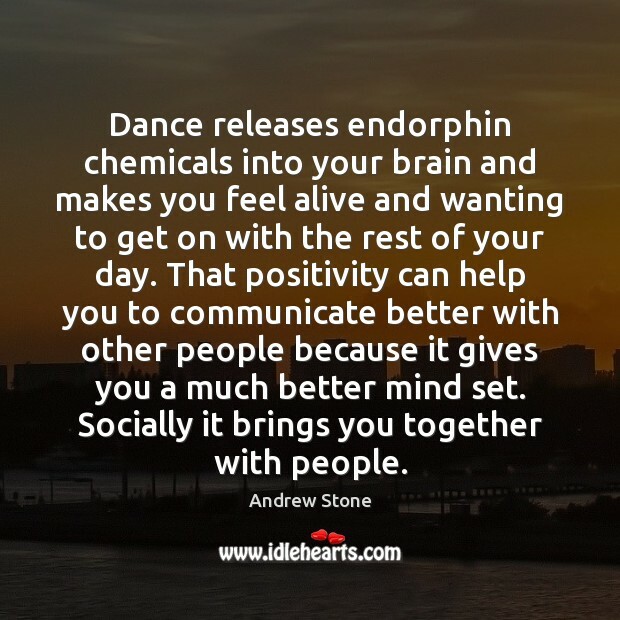 Dance releases endorphin chemicals into your brain and makes you feel alive and wanting to get on with the rest of your day. That positivity can help you to communicate better with other people because it gives you a much better mind set. Socially it brings you together with people. 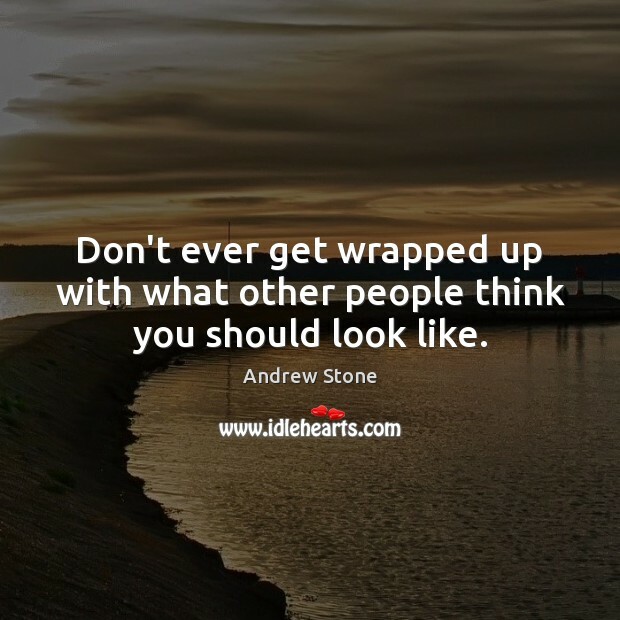 Don't ever get wrapped up with what other people think you should look like. 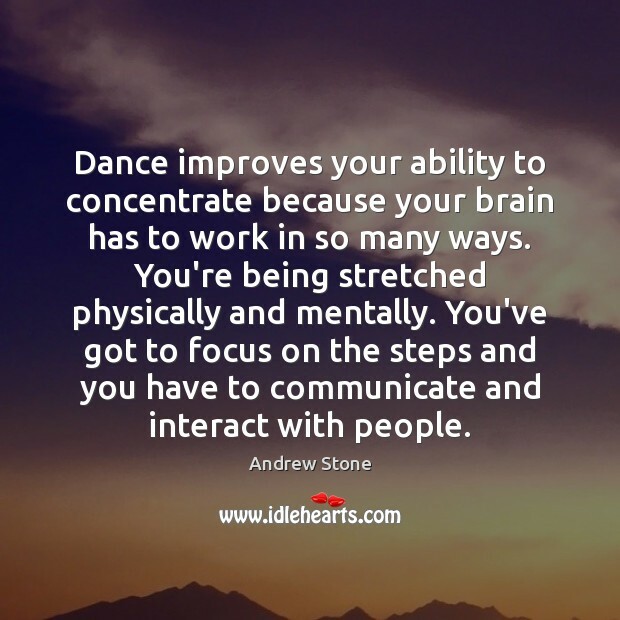 Dance improves your ability to concentrate because your brain has to work in so many ways. You're being stretched physically and mentally. You've got to focus on the steps and you have to communicate and interact with people.